c120m² living space, 3 bedrooms, 2 bathrooms, swimming pool, garage, garden of 669m², quiet, walking distance to all amenities. A real haven of peace! 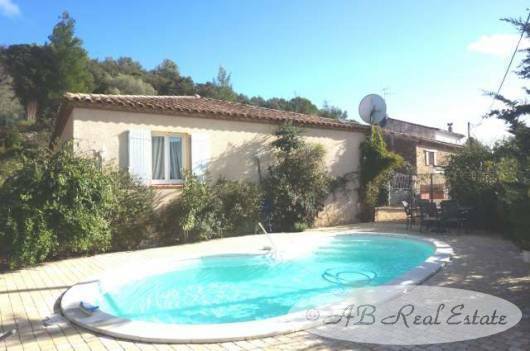 This beautiful house offers the perfect place to relax and let your worries drift away, reminding you that you are in the South of France and inviting you to enjoy the sun, making it a cosy nest for your family. Its location is perfect, in the heart of a village and a few steps from amenities! A MUST SEE!